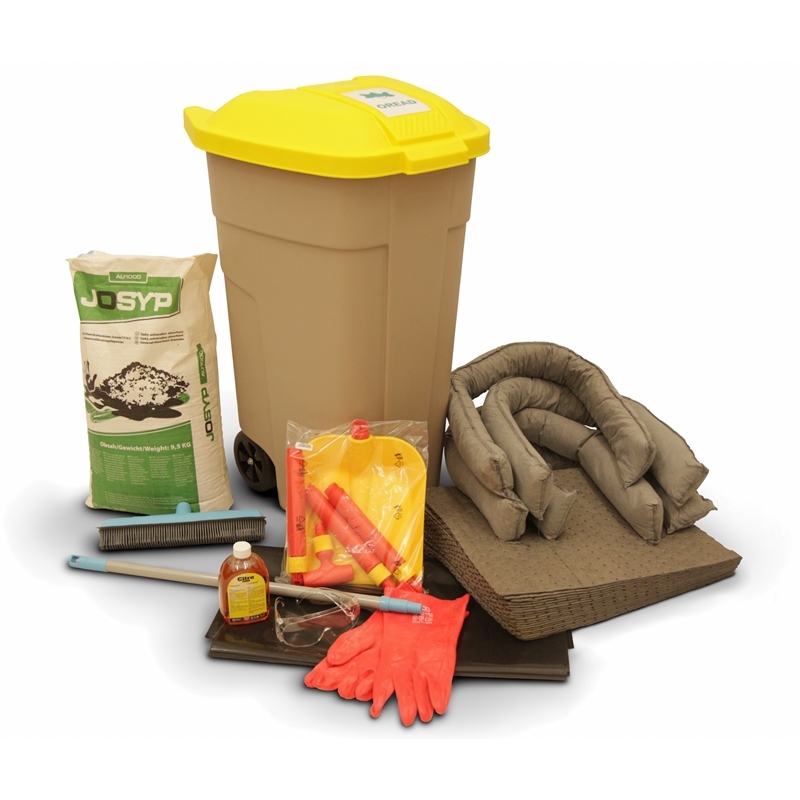 Use this wheeled kit to bring Oread absorbents directly to a chemical spill — all in a highly visible container that really stands out! Use socks to confine spill before it can spread; use pads to soak up spill. Bright yellow lid stands out, so you can find it, when you need it. Hinged lid allows for easy access and keeps kit contents clean and dry prior to use; mot for outdoor storage. 100% polyethylene container is light-weight.